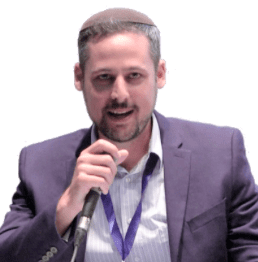 Israel’s Channel 10 News reports that Attorney General Avichai Mandelblit is likely to announce his intention to proceed with a pre-indictment hearing of Prime Minister Benjamin Netanyahu ahead of the April 9 elections…writes Alex Traiman. That places Mandelblit as a primary challenger in the upcoming election cycle, as opposed to political newcomer and former Israel Defense Forces’ Gen. Benny Gantz, or longtime party leaders Yair Lapid, Tzipi Livni and Naftali Bennett, who all trail Netanyahu by sizeable gaps in the polls. Mandelblit’s announcement sets the stage for a legal showdown between Netanyahu and Israel’s judicial establishment. Mandelblit has reportedly told advisers that “announcing a decision before elections is our duty to the public that is going to the polls,” adding that he intends to finish reviewing the cases and to decide whether to open a pre-indictment hearing “as soon as possible.” Legal sources indicated that a pre-indictment hearing could take as long as a year to conclude. A decision on whether to issue formal charges can only be made after a pre-indictment hearing takes place. Netanyahu’s legal team issued a statement that “it is undemocratic to start a hearing before the elections when it cannot be concluded until after the elections. It is inconceivable that the public will hear only one side and not the other. The attorneys indicated their faith that the prime minister has not violated any laws. Netanyahu’s double-digit lead in pre-election polls seemingly indicates that those who previously supported him continue to do so, and doubt the allegations of widespread corruption. The first, Case 1000, accuses the prime minister of receiving approximately $280,000 in gifts from personal friends over a lengthy period, including expensive cigars, which the prime minister regularly smokes. Netanyahu is similarly accused of providing friendly favours, including helping Hollywood producer Arnon Milchan gain an extended visa in the United States. The second, Case 2000, accuses Netanyahu of striking a secret deal in recorded phone conversations with Arnon Mozes, publisher of the left-leaning Israel daily newspaper Yediot Achronot, to secure better coverage in his paper in exchange for Netanyahu promoting legislation that would hurt the pro-Netanyahu rival daily Israel Hayom. Yet the legislation was tabled, and by all accounts, coverage of Netanyahu never improved. In Case 4000, Netanyahu allegedly advanced regulations that benefited Bezeq, Israel’s largest telecommunications company, in exchange for better media coverage of Netanyahu on the Walla news site, which is owned by Bezeq controlling shareholder Shaul Elovitch. The episode, however, foretells what is likely to occur if he clings to his seat while standing trial. Instead of questions about governing the State of Israel and defending against serious regional threats, attention will continually be drawn towards Netanyahu’s legal battles. Meanwhile, the legal process is already underway, with the voting public getting to play the role of jury even before any formal charges are levied. Legal advisers have repeatedly noted that Israeli law does not require a prime minister to resign if indicted. Several coalition members have stood behind Netanyahu’s legal right to continue governing, while opponents are calling for his resignation. According to the law, a prime minister must only step down if convicted of a crime of moral turpitude, such as bribery or breach of trust. Channel 10 reports that other legal experts have warned that Netanyahu’s right to continue governing if indicted could come before Israel’s Supreme Court, an activist, super-legislative body that has within its purview the ability to change laws. With the prime minister clinging to public support, and well ahead of his political rivals, it appears as though Netanyahu’s legal hurdles present the greatest threat to his 10-year tenure.